What is OptionsHouse and what do they offer? 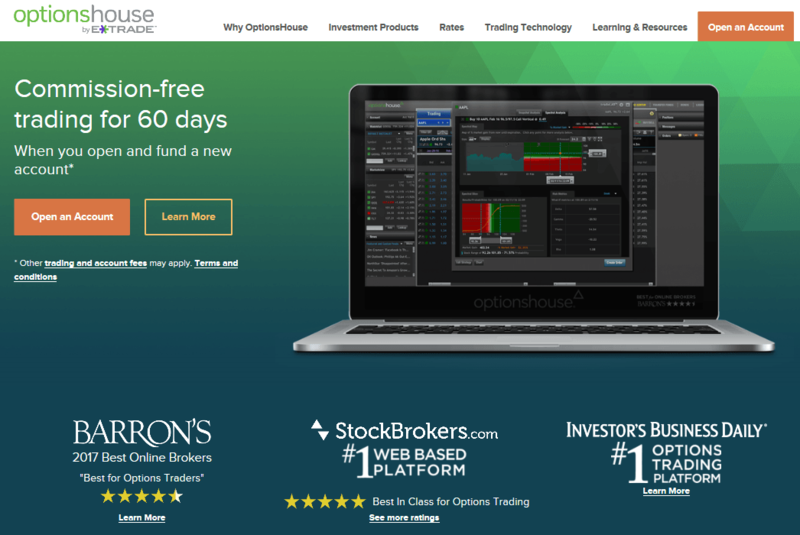 OptionsHouse was well-known for being one of the most popular online brokers that offers its ​brokerage account for traders and investors for fair prices. Most of all, OptionsHouse is appreciated for giving its users the opportunity to trade stocks, options and futures with absolutely great and highly competitive conditions. Beside the main business, OptionsHouse offers additional services and exercising. 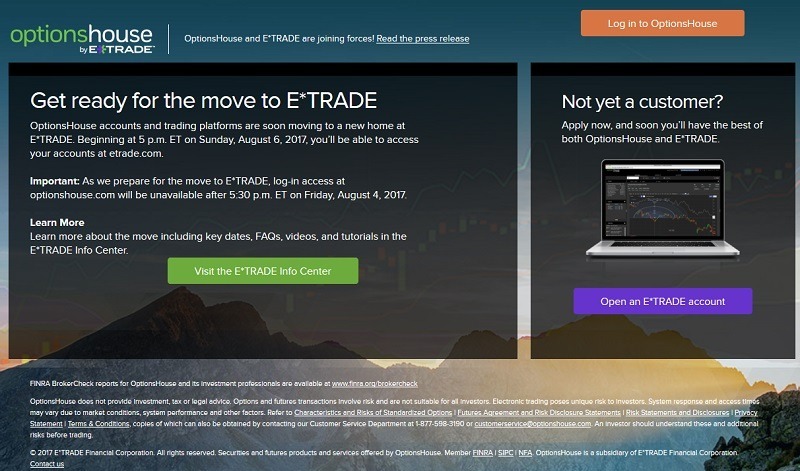 Update 07/2017: ​OptionsHouse and E*TRADE are joining forces! 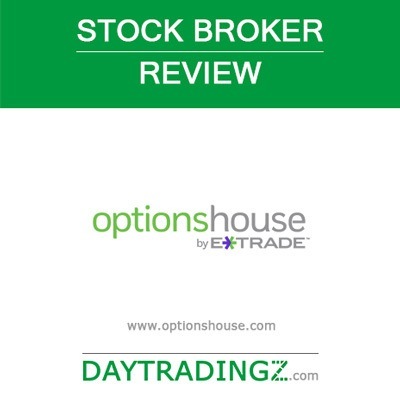 Continue reading the ETRADE Review or go ahead with this review. PEAK6 Investments founded the OptionsHouse, LLC in Chicago in 2005. It went on growing until 2014 when it merged with tradeMonster, uniting the outstanding competitiveness of OptionsHouse regarding the commission rates with the great reputation of tradeMonster's web-based service for fast and easy trades under the name of OptionsHouse. In 2016, E*Trade bought OptionsHouse, but also since that latest change, OptionsHouse goes on operating as an independent platform and brand. Above all, active professional traders and investors appreciate OptionsHouse for being one of the most customer friendly online brokers in the market. The service combines a giant range of available investments with extraordinary tools and competitive fees. On the trading platform of OptionsHouse it is unusually easy to go through different tra﻿de ideas being based on the present stock prices, to ensure fast trade executions and to calculate possible profits or losses. The investors are able to place the orders directly on the OptionsHouse trading platform or by using the mobile app that OptionsHouse provides. This one belongs to the most effective mobile apps being available in the business so far. It allows to place orders, to set alerts and to watch stocks and also a direct connection with your bank account. It is especially useful for investors to have the chance to create reliable what-if-scenarios for the investments they are interested in. TradeLAB enables its users to analyze trading strategies with individual metrics. Another significant kind of assistance is given by the alerts that the users receive in the very moment when an event happens. All this is possible because amazing automation capabilities are used for the platform consisting of only four primary screens for stocks, options, details and tools. It is designed for be easiest possible handling. The users simply look up a quote to choose between “ask” or “bid” to buy or to sell with one click. With the help of tabs they can navigate through the primary screens that they just minimize to open them again in the very moment they need them. On the right side the users find more useful information in subcategories, like e.g. information about the selected company, a watch list, a hot list, news and charts. The platform offers 15 up-to-date option strategies, like e.g. condors, iron butterflies and straddles, and 35 technical indicators to help the users to find their personal best trading strategy. One more highlight that OptionsHouse offers is a tool called strategySeek that enables the users to watch live market data being based on their individual criteria. It creates a list of matches making it even easier for the traders to analyze the market and to place their orders even faster. The risk viewer that analyzes the stocks the users hold and that predicts the possible risk is just as appreciated as the fact that the trade platform is browser-based. So, every change the user makes is saved in the profile and it will always be available, all the same where and with which device you get access to your account the next time. Especially beginners in trading take advantage of the so-called virtual trading without any need to invest real money. Every user who opened a real account with no minimum funding being required has the opportunity to set up a so-called paperTrade account to practice in the live market by using virtual currency. However, OptionsHouse presents itself as being built for active traders and promises that the more you trade, the greater your benefits may be. When it comes to professional trading, OptionsHouse offers all that is truly needed – and even more – with an outstandingly fast and easy way of handling and for a fair price without any hidden charges. Regular and also virtual ﻿﻿day trading﻿﻿ for ​beginners is possible on the platform and the users have the opportunity to add personal notes to all of their trades. In addition to this, there is an overview showing all of the users' transactions (buys and sells) of the past. For well informed decisions, there is a Spectral Analysis including all kinds of necessary data and also Risk Metrics. When the users finished their analysis, it is all easy to import the data into a trade ticket, to find the perfect position size and to place the trade. All tradeable securities are automatically grouped by OptionsHouse. By using a simple drag and drop interface, the traders are able to change these groups and to adjust them to their personal needs and preferences. Trading equities with OptionsHouse means taking advantage of an outstandingly advanced and intuitive platform that is amazingly easy to handle. 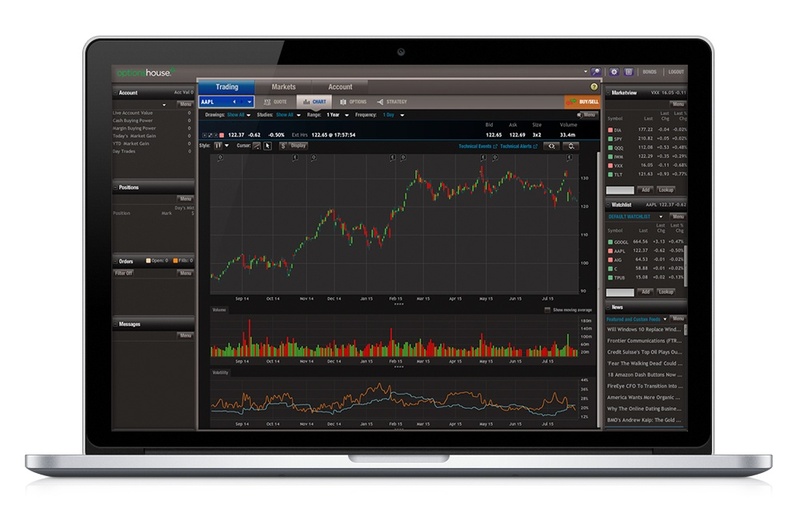 On this award-winning platform you trade with the help of powerful stock research tools and reliable technical charting. Here, the users benefit even more from the highly competitive rates the more they trade. Check the offers out to see that you will find a perfect combination of some of the most efficient and capable technology in the market with some of the most attractive value. Trading on this platform is possible for the amazingly fair flat rate of only $4.95 for commissions and without any minimum deposit on the user's account. The current promotion includes $1,000 in free trades with a deposit of $5,000 or more. As mentioned above, stock trading is offered for the highly competitive flat rate of only $4.95 per trade. For options, the users pay a base fee of $4.95 plus an additional fee of $0.50 per contract. If you ask for help with a trade, a total fee of $25 will replace the $4,95 commission fee. If the traders borrow money from the broker to extend their reach, the interest starts at 8.00% and drops the more they borrow – until down to 3.50%. There is a good reason why the word “options” appears in the name OptionsHouse and also a good reason why OptionsHouse belongs to the very best platforms for option traders. Here, the users have the opportunity to trade with proven, trustworthy options chains, reliable charting and even a supercharged analysis tool called TradeLab. 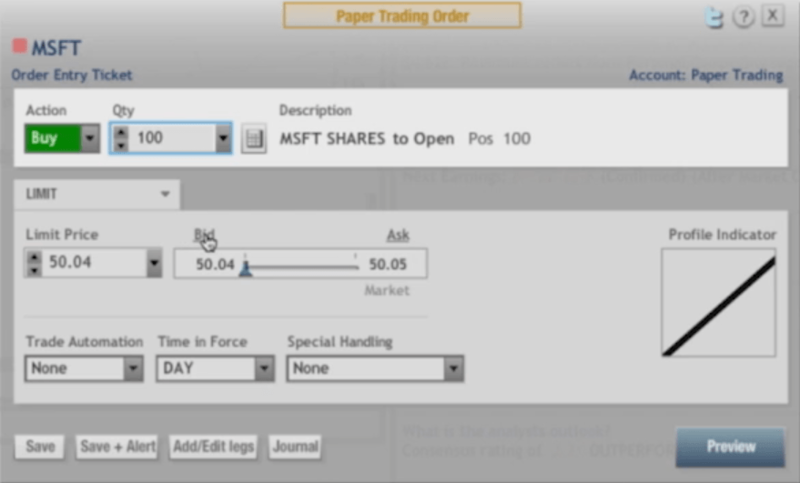 The option chain views are easy to handle, easy to use and easy to customize. All this makes your analyzing, your research and your trading amazingly easy and fast. There are 16 different options chains and 15 of them are strategy-based. This enables the users to find implied volatility, quotes and deltas in an instant. Here, you can choose single options and strategies to place your orders more than comfortably directly on the website. But this is not all yet. In addition to this, you will save money. Lots of professional traders prefer this platform because of the value-orientated commissions and the low fees per contract. OptionsHouse offers trading options for the highly competitive price of only $0.50 per contract being added to the $4.95 base. The included strategySeek option screener tool shows the very best options at the very moment. 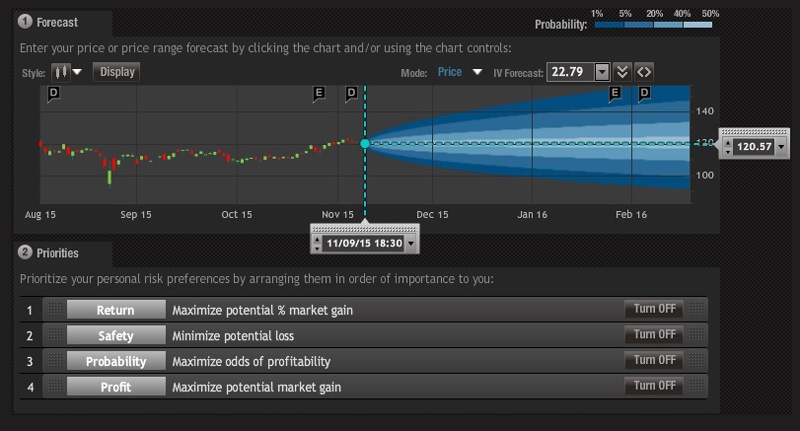 With this amazing tool, the users are able to forecast the price and to set their priorities for the trade, like e.g. probability, profit, return and safety. After finishing this, they simply have to click on “Show Strategies” to find the best matches before placing their order or trade, analyzing the trade or adjusting the scanner. The impressing amount of data and the behind the scenes calculations are making the recommendations truly reliable. Millions of possibilities are calculated and the results are shown in milliseconds. The third part of the main services that OptionsHouse offers is futures trading – and this has even been improved to being better, faster and easier since OptionsHouse belongs to the Futures Commission Merchants (FCM). If the users add this option to their account, it is streamlined and it includes access to beneficial cash management features. With the help of the so-called Trading Ladder, the traders get to see real-time futures contract prices, what's going on in the market and working orders, including details, like e.g. the current position, gain and loss and the cost basis. Beside this, they are able to place, to cancel and to change their orders with just one click – of course as fast as being successful in the business requires it. Even when OptionsHouse got the FCM status, the low commission rates for trading futures were not changed. So, the users who add futures trading to their account, still benefit from the highly competitive rate of only $1.50 per contract. Beside the regular trading, there are articles, a blog and webinars to give the users the opportunity to learn more about stock trading and investing on this platform. Before beginners are familiar with the trading platform, they have the chance to practice with the help of a demo account for simulated trading with $5,000 of virtual money. This is a helpful way for new traders to test their strategies and to develop their techniques before risking their own real money. OptionsHouse presents itself as an award-winning platform – and it proves this with a list of awards on the website. For example, you can see that OptionsHouse has been awarded 4.5 stars for “Best Options Traders” by Barron's in every year between 2011 and 2017. Beside this, it is constantly recognized for its outstanding mobile platform. On the website you can also find press releases and you can check the blog. 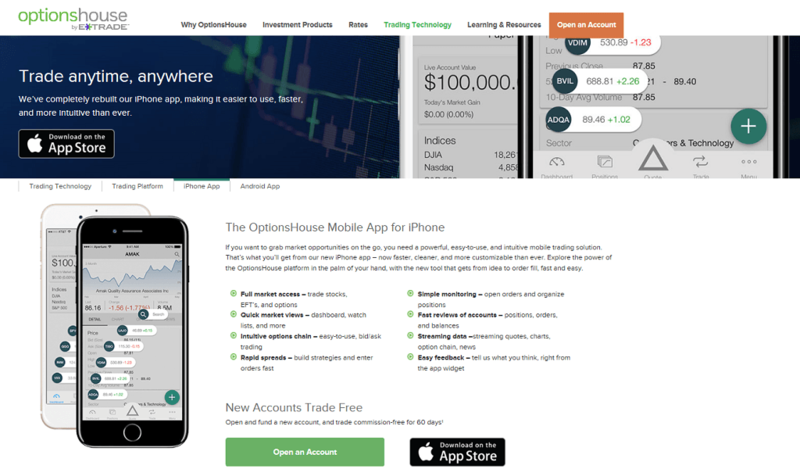 As one of the most popular online stock brokers, OptionsHouse offers transparent value-priced trades, great and helpful tools for analyzing and for research and a well designed trading platform that is easy to handle. The fees and commissions are simple and there are no hidden charges. The products, the tools and the customer service are on a high level and constantly improved and the amazing speed of the trade execution is another significant advantage on this platform. The powerful technology is easy to handle and you can use all features of this award-winning platform on your computer or on your smartphone where ever you are. At the same time, you get access to reliable real-time market data and research tools and you will receive real-time alerts according to your personal preferences. The dedicated service team is available and ready to help via live chat, e-mail, phone or fax – from Monday to Friday. In addition to this, you find a big choice of frequently asked questions that may also be helpful to get basic information. It is also important that OptionsHouse exists for so many years, being proved by the high number of traders trusting in this platform and by the mentioned awards. In any case, OptionsHouse belongs to the leaders in the competition.